In this helpful and illuminating book, Michael Kinnamon challenges readers to consider why we find ourselves in this age of fear and what we can do about it. 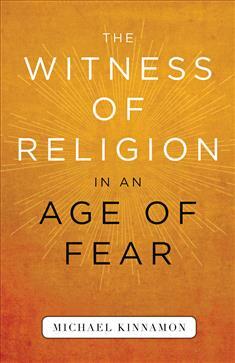 Drawing on support from a diversity of religious traditions and teachers, Kinnamon argues that religious faith is the best way to combat a culture of fear. He explores fear in relation to the Israeli- Palestinian conflict and the American political scene, and he shares courageous examples of individuals from different religions working for peace.